SLS, formaldehyde, parabens, hydroquinone, phthalates, alcohol and fragrances… The list of harmful ingredients we expose ourselves to daily is endless. Worst of all, we might not even be aware of most, or the effect they are having on our hormones and health. Thankfully, with so many new, clean beauty brands available, – there’s never been a better time to join the #CleanBeautyRevolution. I’ve been playing guinea pig to quite a few brands over the years and today I share the top clean beauty brands we’ve come across. A brand that covers all the basics making it quick and easy to do a “clean” switch. Shampoos, conditioners, lotions, toothpaste and more. 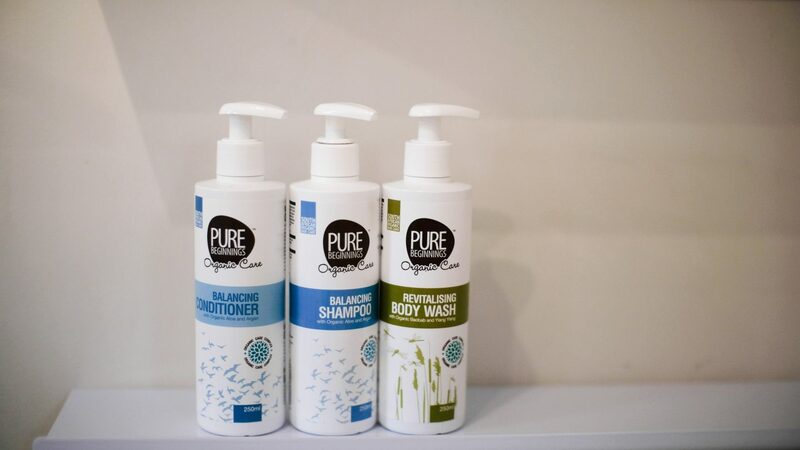 Pure Beginnings is a leader in green living and has proven itself a trusted clean beauty brand for over 10 years. From their unbeatable baby range to wonderful body and hair care staples – we trust Pure Beginnings. The revitalising body wash is our favourite, no other body wash can beat it’s gorgeous smell. An Ecocert accredited 100% Natural Hair and Body care range using Africa’s powerful natural and organic plant ingredients. They have a great selection of shampoos, conditioners and hair treatments formulated for coloured, stressed and normal hair. Scrubs, oils, body butters, cremes, hair and face products. Naturals Beauty is another local business focussed on producing affordable, quality, natural products for the entire family to enjoy. It’s important to note that natural deodorants won’t last as long as conventional kinds but with regular application they do work just as well. I have used the following brands and recommend you try a few and see which you prefer. This selection of sodium bicarbonate based eco roll-ons come in a variety of scents as well as one unscented formulation. All aluminium free. The deodorants are targeted at the bacteria that causes body odour and eliminates it’s ability to break down sweat. A deodorant from a team of South African ladies passionate about sourcing natural ingredients for products most of us use daily. 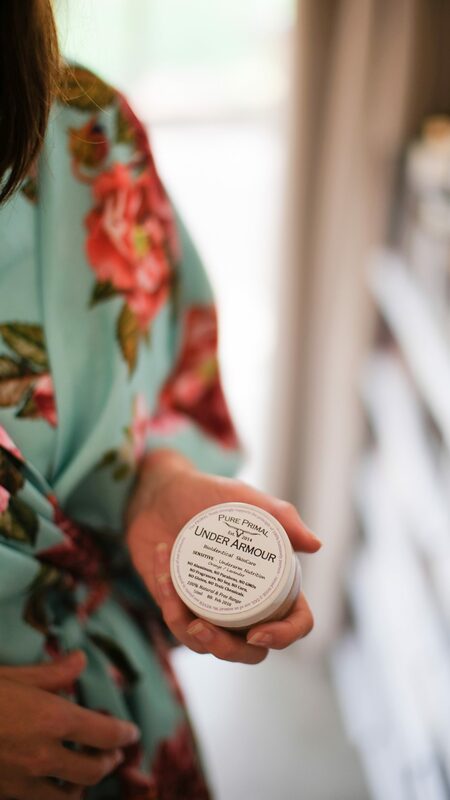 Ingredients like Shea butter, organic coconut oil, beeswax, bicarbonate sodium and cornflour are used in the production of their all natural deodorant products. So far, this has been a great “clean” deodorant. This natural tallow based deodorant works! With options for regular, sensitive and strong. Containing charcoal means it’s fantastic at absorbing moisture and neutralising odours. Just give yourself a week or two to adjust and detox while the Under Armor begins to work. A LIVE probiotic anti-aging skincare brand that believes in optimising your skin’s health to slow ageing in the long-term. This range nourishes your skin with products that are all certified organic, vegan and cruelty free. Specially formulated products aimed at pigmentation, acne, sensitivity and other concerns all prove effective especially when used over a period of time. Be sure to have a look at their trail packs to see which range best suits your skin type. The Skin Creamery ethos is to be kind to the earth, and kind to your skin. Commitment to natural, simple living this luxe skincare range isn’t just made from the highest quality organic ingredients aimed to protect, heal and rejuvenate your skin… Time and thoughtful planning also went into creating products that inspires clients to relax, take-care and appreciate their own beauty. This truly is a lush brand that delivers. Waterless, bio-identical, tallow based skincare products that feeds your skin from the outside in. Nowhere have I ever come across products that feel richer and provides more moisture. Both the Eye rewind cream and Repair Serum blew me away, dramatically improving scaring, fine lines and wrinkles. Sustainably sourced, naturally harvested botanical ingredients are used to make products targeted at specific skincare goals. No additives, harmful synthetics, mineral oil, sulphates, fillers or any other nasties, just pure goodness for your skin, that doesn’t cost the earth. Nowhere will you find a better variety of serums to boost your skin’s health, leaving you looking and feeling radiant. The Vitamin C Wrinkle Reversing Serum is my go-to. 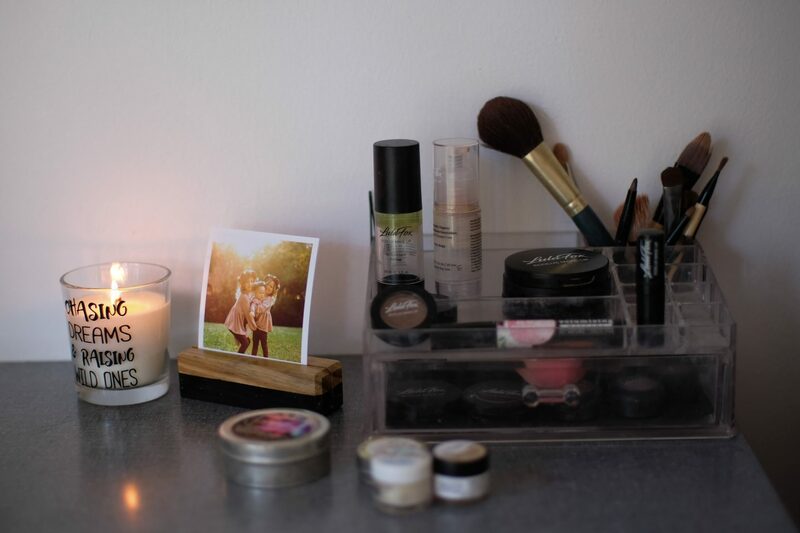 I’ve only used the specialised products from this range; masks, serums and makeup removers. All proved gentle and effective. The Ruby Marine Overnight Mask works wonders for my skin while I sleep. Their recently launched SWEAT range consisting of a simple 3 step complete skincare solution is aimed at men and woman who enjoy being active. Every product is natural, cruelty-free, vegan, paraben free and non-comedogenic. It’s exciting to see more and more clean make-up brands pop up everyday. With so many to choose from there’s no reason we can’t have some fun while looking pretty! Over the past 2 years I’ve been making the transition from mainstream, conventional makeup brands to using mostly Lula Fox Ecolux Makeup. I can vouch for this top quality, clean formulated range. In fact, since using Lula Fox I have actually noticed an overall improvement in my skin. The foundations provide medium coverage and will last most of the day when set with powder. The eyeshadows and blush performs really well. The lip and cheek tints are the best and can be used on your eyes too for a dewy look. This is a photographic range, meaning that it doesn’t reflect camera flashes making it perfect for special events, fashion shoots, weddings and more. The Lula Fox shade spectrum covers all South African skin tones and contains every product you’d expect from leading international beauty houses. I apply my makeup daily without any concerns, knowing I can look my best without comprising my own health or the environment. One beauty product I do struggle with is finding a mascara and eyeliner that works and doesn’t irritate my eyes. The best I’ve come across has been the Hey Gorgeous Pure Wild Volumising Mascara. It may not be waterproof but applies easily and gives a beautiful, thick lash look. Modern, natural, organic and certified cosmetics. Trendy, bold and colourful makeup made from organic ingredients at affordable prices. This range even includes nail polish in every colour imaginable. A brand that respects the environment, animals, their customers and quality in manufacturing. Couleur Caramel is created to enhance your natural beauty for effortless, minimal makeup looks. Dr. Hauschka is a long-established, internationally renowned brand of natural and organic cosmetic products. The range is designed to nourish and beautify. Products are free of harsh synthetic ingredients and are not tested on animals. Ingredients are certified organic and wild harvested wherever possible, to ensure the highest standards of purity and consistent quality. This is most probably the most established and well known clean beauty brand in the makeup industry (especially locally). This is the sunscreen I apply daily as part of my skincare regime. It’s non-greasy, easy to apply and doesn’t interfere with my make-up application. This sunscreen is also safe to use while pregnant and even on a child’s skin too. The Baby and Kid Sensitive Sun Milk SPF 50 works for the entire family. You’ll never catch us without ours handy. A range of natural sunscreens developed to meet the needs of any person venturing outdoors. Sport, family, daily, kids and classic sunscreen ranging from SPF 15 to 40+. Sunumbra is passionate about keeping skin protected and safe from the sun. 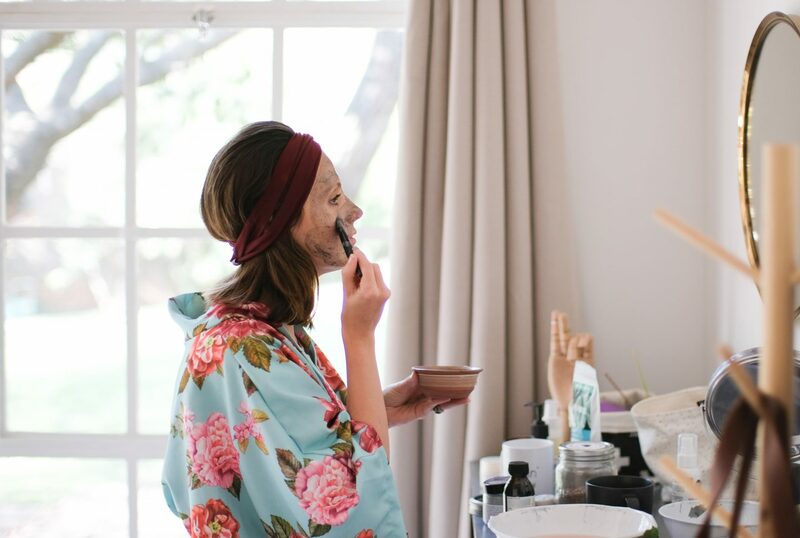 You won’t miss the spa with lush products from Lulu & Marula. A few drops of Calming Bath Oils transforms our bathroom into my own sanctuary while the body balms cleanses and moisturises like nothing else. Lulu & Marula ticks every box from fun designs to incredible smells. It really is a treat using anything from the range. Avoiding every nasty ingredient known to man might not be possible, but limiting our use will definitely minimise the worst impacts. 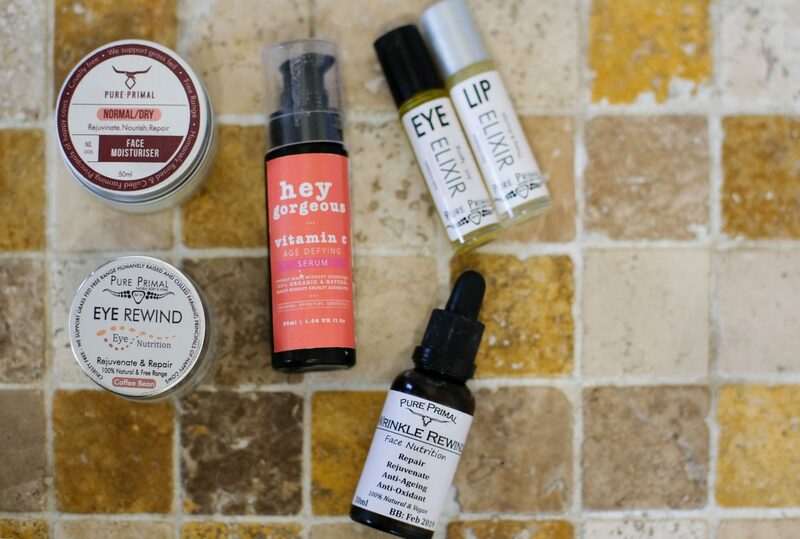 For more Eco-Friendly finds and clean beauty brands simply click HERE. And also feel free to share any clean beauty brands you love and trust in the comments below. Wife to my Mr. 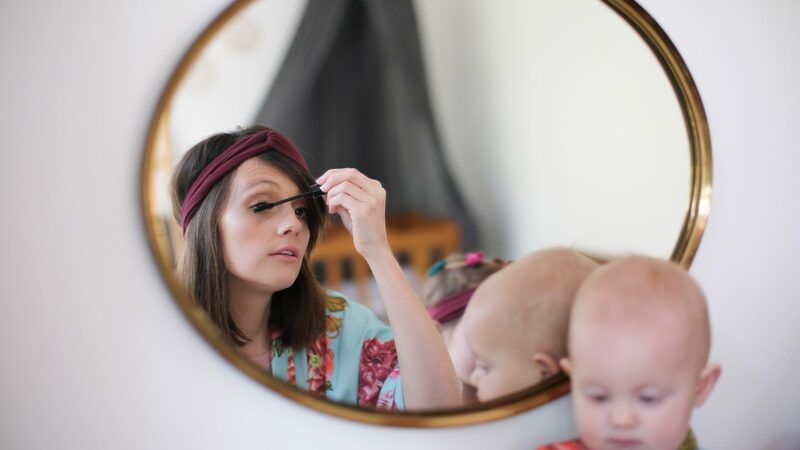 Perfect, mama to our 3 girls and the founder of Just a Mamma. 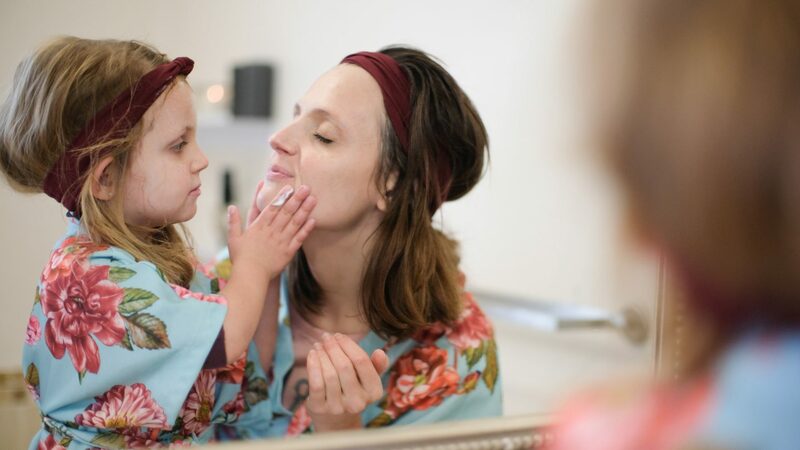 An parenting and lifestyle blog focused on “not just surviving the early childhood years” but rather embracing every challenge and making it the most memorable time of our lives! Over here you can expect me to share some of my favourite local or eco-friendly finds as well as the odd family travel post. Thanks for reading and be sure to come find us on social media too. Previous Post Dear South Africa, it is time we change the way we live.